"Profit is the applause of meaningful work." 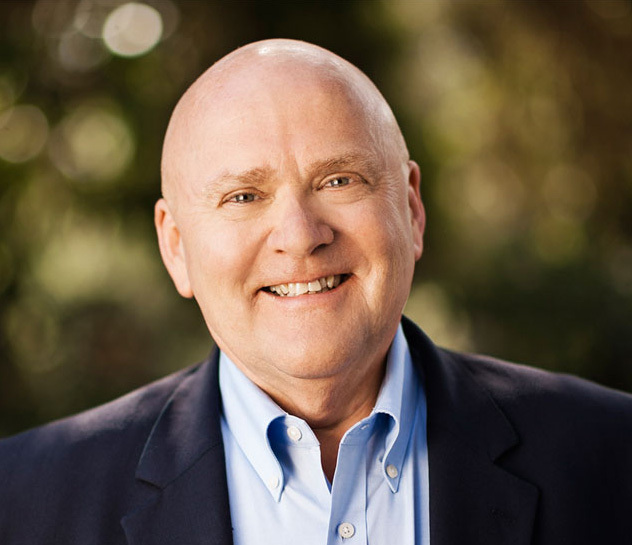 As CEO of WD-40 Company since 1997, Garry Ridge has helped re-ignite excitement and create cultures that foster break-through innovation in companies and workplaces in over 62 countries. In addition to his full-time role at WD-40 Company, Garry shares his experience and insights externally through executive coaching; consulting; and speaking. His first-hand experiences in transforming a global brand with a market cap of $2.3 billion, as well as his deep, profound commitment to creating workplace cultures that support the individual passions of all who work there, have attracted the recognition of today’s most influential thought leaders. In 2016, he was named Igniter of the Year by Simon Sinek, author of Start With Why: How Great Leaders Inspire Others to Take Action and Leaders Eat Last: Why Some Teams Pull Together and Others Don’t. Additionally, Inc.com placed him in the fourth position in its list of Top 10 Global CEOs in 2017. He also collaborated with Ken Blanchard (One Minute Manager series) on the landmark book, Helping People Win at Work. Garry has also received the Lifetime Achievement Award in Freedom at Work from WorldBlu. Most recently, he is a contributor in the Marshall Goldsmith/Frances Hesselbein book, Work is Love Made Visible: A Collection of Essays About the Power of Finding Your Purpose From the World’s Greatest Thought Leaders. While Garry continues to develop his own book projects, other authors write about his work at WD-40 Company. The WD-40 Company is featured in the 2018 book by Whitney Johnson, Build an A-Team: Play to Their Strengths and Lead Them Up the Learning Curve. Additionally, Fast Company magazine co-founder, William Taylor, also featured Garry’s work in revitalizing innovation at WD-40 Company in his newest book, Simply Brilliant: How Great Organizations Do Ordinary Things in Extraordinary Ways! Additionally, Anthony Tjan wrote about the WD-40 Company story in Good People: The Only Leadership Decision That Really Matters. As part of his lifelong commitment to helping others learn and develop, Garry is an Adjunct Professor at The University of San Diego (Talent Management & Succession Planning). He is also certified as a coach using the Marshall Goldsmith Stakeholder-Centered Coaching model.